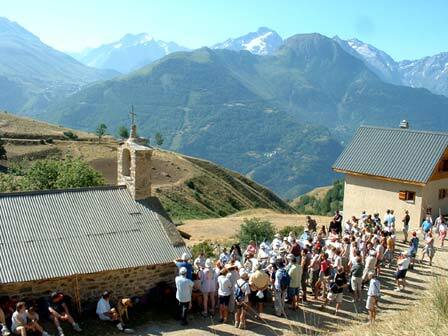 Annual Mass in the chapel of the hamlet of Cluy. The priests and the congregation meet the flock together. 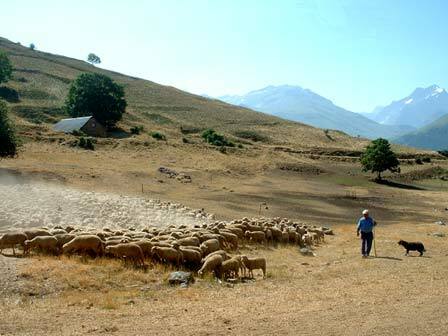 The celebrant blesses the shepherd and his sheep.